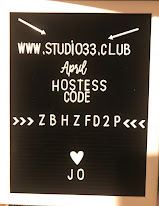 Studio 33: Update -Sale-a-Bration Items Gone! Benefits of Being An Inky Night-Owl Team Member! Happy Monday! I hope you are all doing well! As you all know, during our Sale-a-Bration event, we get orders that come in an abundance and sometimes certain items become very popular, resulting in a very high demand. So unfortunately, I must inform everyone that the Organdy Ribbon Combo Pack Item #149623 has completely sold out and will not be coming back. It was so popular that we sold out within the first three weeks, and Stampin' Up has one more shipment coming in to fulfill back-orders only. Sometime in March they will have another shipment to come in and then this Ribbon combo pack will be available only while supplies last. Also gone for the time being from the Occasions catalog are two punches that have been very popular. They are apart of a bundle but can also be purchased alone. The Butterfly Duet Punch, Item #148523 and the Cake Builder Punch, Item #148525 won't be back in stock until Mid-March to fulfill back-orders. Good news though! These punches will be carrying over into the new annual catalog come June! We will have a new set of products becoming available in Mid-February for the Sale-a-Bration brochure, so keep an eye out for those! Remember to take advantage of the perks and the gorgeous Craft & Carry Tote Bag by joining my Inky Night-Owls Team Today!!! 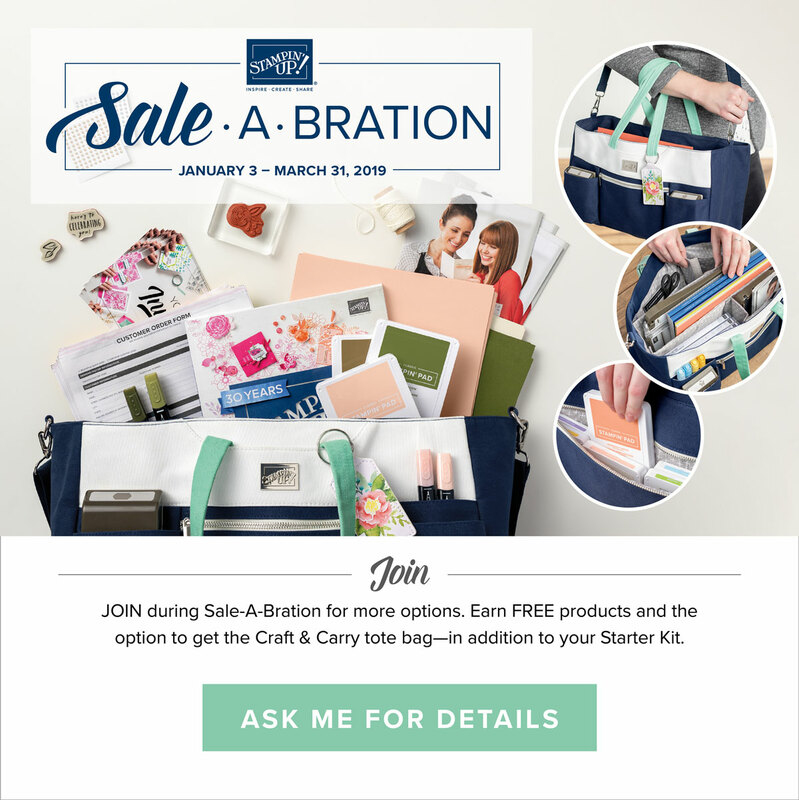 Don't forget to take advantage of Sale-a-bration! Earn FREE product for every $50 & $100 you spend up until March 31st! 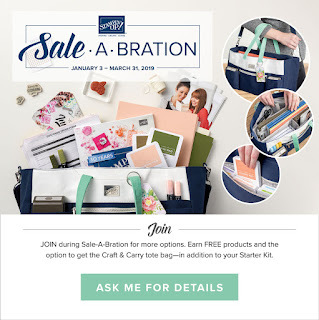 Also during Sale-a-bration- Receive $175 in Product, Plus Free Shipping and this gorgeous Craft & Carry Tote when you join my Inky Night-Owls Team! 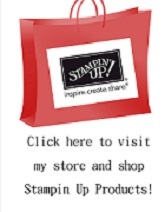 Don't have a Stampin' Up Demonstrator? No problem! 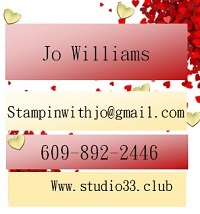 If you do not have a Stampin' Up demonstrator, I would love to earn your business. Just drop me a note and let me know if there is anything that I can help you with! 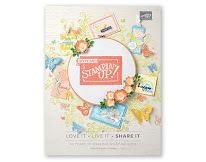 DO NOT use the host code if your order is over $150- as you will earn rewards with Stampin' Up! 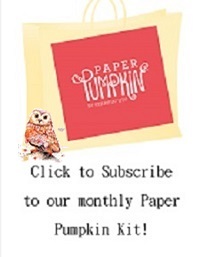 Don't forget about our Paper Pumpkin Kits!!! Make sure to subscribe by the 10th of each month to get the current kit! Hi I'm Jo! 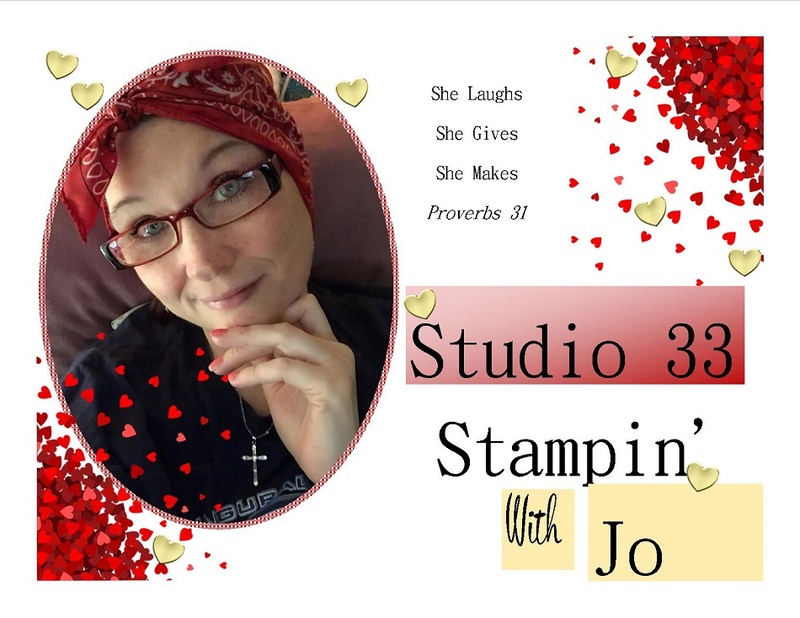 I enjoy sharing my love and passion for stamping and crafts with everyone! I love to teach people how to make pretty things and give a special token from their heart and hands to someone special! I live in New Jersey at the beach and enjoy quality time with my kids and family, the beach, love animals especially dogs and enjoy a good rain storm! Our 2019 Occasions Catalog is Live! 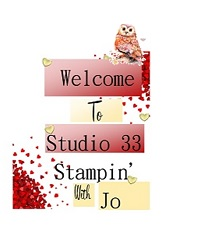 All designs, art & content belong to Studio 33 © COPYRIGHTED 2017 Jo Williams. Awesome Inc. theme. Powered by Blogger.